Crystal over at Money Saving Mom has started a new challenge we are joining in on. 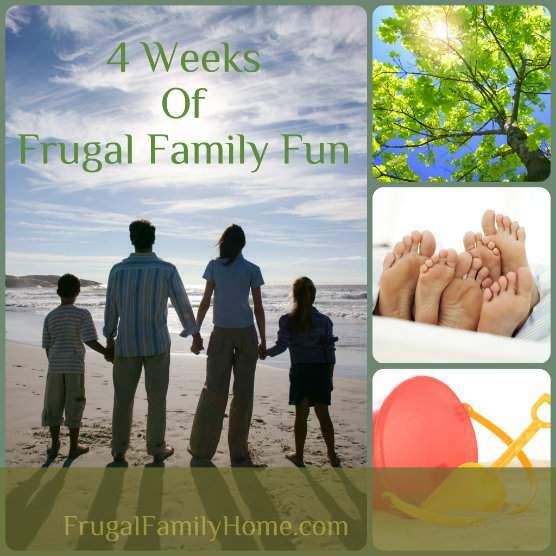 It is 4 Weeks to Frugal Family Fun. I will be posting each weekday a frugal family fun activity we did that day. My kids area going to love this. I am hoping this will keep us out of the summer rut and let us have one activity a day the kids will enjoy. Today is the first day! Do something fun with your family! I will be posting our activity for the day this evening. You can go here and see if you want to join in too. I hope you join in.